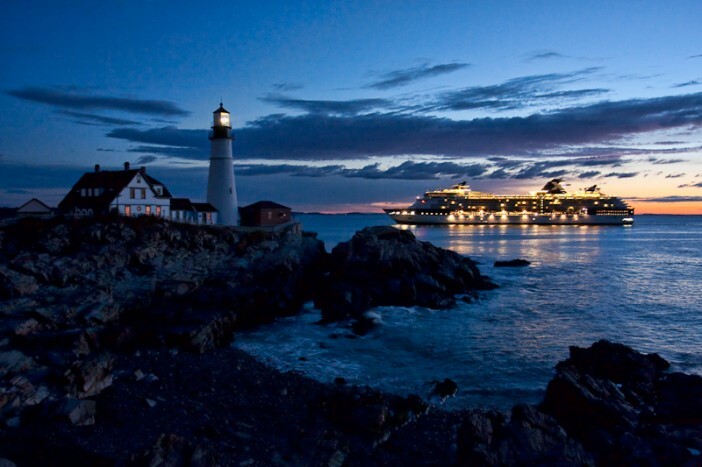 A New England cruise is the perfect way to see one of the most beautiful areas of the USA. As always, Cruise 1st Australia has the very best deals. Click here to see the latest deals, or keep reading to find out more about this destination. Why go on a New England cruise? New England is located in the northeastern corner of the USA. It is made up of six distinct states: Connecticut, Rhode Island, Vermont, Maine, New Hampshire and Massachusetts. So what does a New England cruise have to offer? Well, New England is undoubtedly one of the most picturesque parts of the USA, as well as being one of the most diverse. You will find towering mountains with opportunities for skiing and hiking, rivers and lakes, luscious forests, farmland and scenic countryside as well as stunning coastlines with both rocky and soft, sandy beaches. Connecticut is the most southern of the New England states. It offers the typical charming New England feel, with a cosmopolitan style. Take a stroll around Yale University and take in the touring art gallery to view paintings by Van Gogh, Picasso and Monet to name a few. Or explore the Mystic Aquarium to discover whales, sea lions and other marine life. Maine is the largest of the New England states and is known for its outstanding geography. Visit the Acadia National Park – one of the USA’s most popular national parks, covering over 40,000 acres on the coastline. Maine is known for its lighthouses – look out for over 60 of them dotted around the shoreline. Some are centuries old. Massachusetts is known as the Bay State with hundreds of miles of coastline and beautiful beaches, quaint small towns and fascinating living history museums. Not forgetting the sophisticated city of Boston – America’s oldest city, where you can shop til you drop or dine in fantastic restaurants. The beautiful state of New Hampshire is a must-see for nature lovers. Characterised by mountains, lakes and forests you may be lucky enough to spot native bears, moose and deer. If you prefer a spot of retail therapy you will enjoy the tax-free shopping in New Hampshire. Rhode Island is the smallest state in the USA but you will still find plenty to keep you busy here. Explore peaceful coastlines and countryside as well as well-preserved heritage and fine dining. Vermont has postcard-worthy scenery with bridges and rolling country lanes. Ice cream lovers will not want to miss out on a tour of the Ben & Jerry’s Ice Cream factory! The people of New England are famed for their warm hospitality, friendliness and laid back approach to life so you’ll be sure to have a warm welcome when you set foot off the cruise ship. To book your cruise visit our New England cruise deals page.